I can’t say enough positive things about Powertac’s E9R 1020 lumen light. 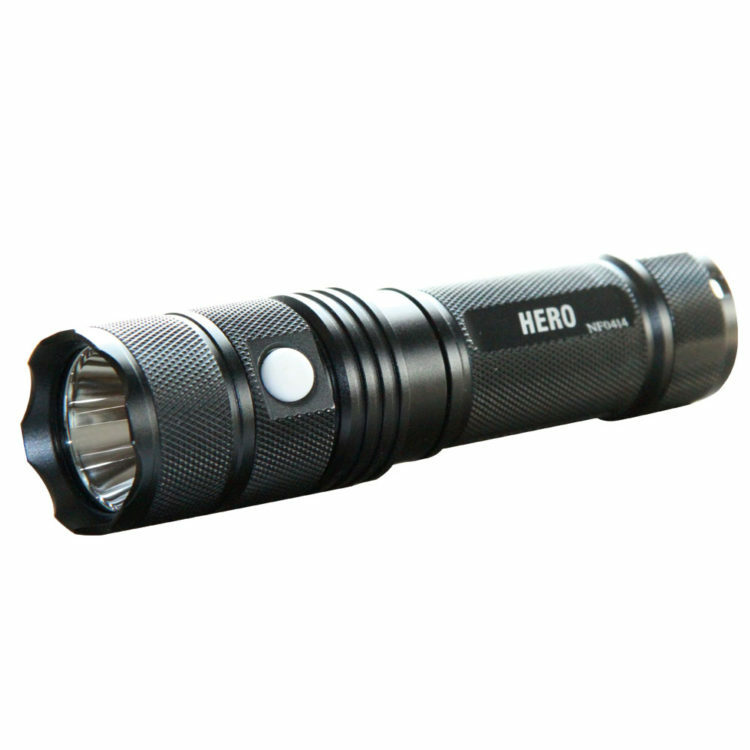 It’s blinding, compact, lightweight, tough and easy to use flashlight. 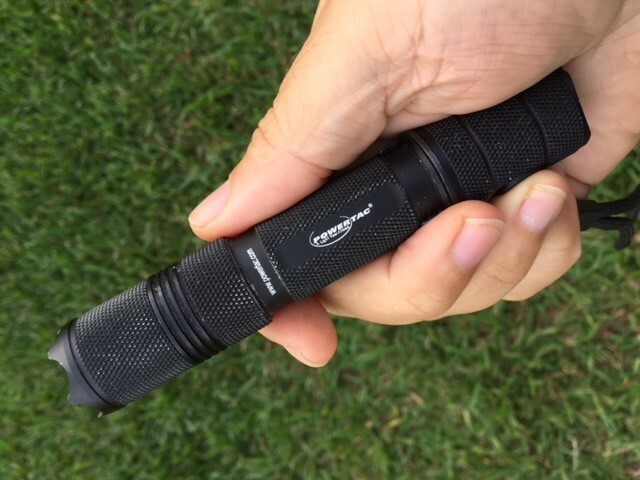 For me, it has become the perfect EDC light which is what I was looking for when I stumbled across it. After months of evaluation I carry it daily. There are some pantheons in the personal light industry. Surefire and Streamlight immediately come to mind. I think Powertac out of North Carolina should be included. The founder is an engineer by trade and has over a decade of experience in developing military grade flashlights. Along with his partner, Powertac has demonstrated itself as a company devoted to making products for their customers to USE. They spend a lot of time listening to feedback on existing products as well as what users need. Their targeted users are military, law enforcement and those that answer emergency calls. The E9R is a solid example of the solid products they bring to the market. The first product I really got excited about at last year’s Shot Show was the E9R light from Powertac. It took almost six months to get one in hand because production models hadn’t met the high-performance standards I saw at Shot Show which is a testament to the company’s commitment to quality. Other companies would get something out now and fix the few pieces that fail. Let’s admit it. 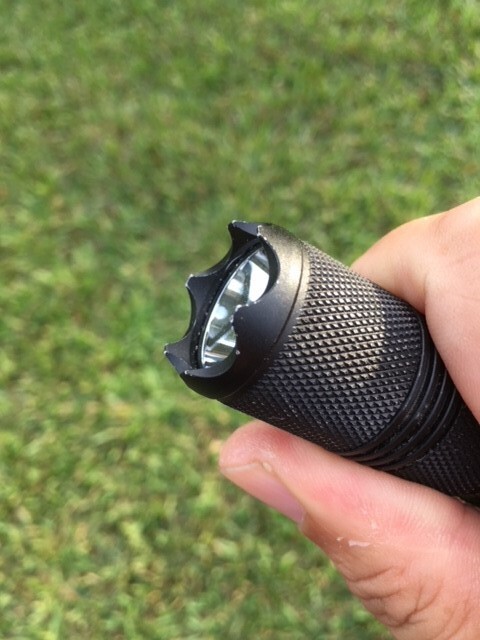 Most flashlight purchasers don’t use let alone push their lights to the limit. It was worth the wait. The E9R’s aggressive bezel is what first caught my eye. I wanted something I could use a s a self-defense tool in my EDC light and in the worst case give the cops some DNA to catch an assailant. Looks can be deceiving though but as soon as I picked up the light I felt the quality. The E9R is made from aircraft grade aluminum alloy textured for a non-slip grip but not so aggressive as to be unpleasant to hold for long periods. Weight, length and circumference was just right for me to vary in my pocket (approx 4 oz, 5 in. & 1 in.). Where things get real exciting is the functionality and modularity of the E9R. Activation is with a tail cap rubber covered switch and modes are selected by a side mounted slightly recessed rubber button towards the rear. The light offers five modes, low to high settings and strobe. She runs off of two CR123A/RCR123A batteries, or a single 18650 battery. The CREE XM-L2 LED emitter puts out a blistering 1020 lumens in high mode. Other settings include 1, 280 and 635 lumens. Some schools of thought promote not needing a very bright light because the user may temporarily blind themselves with the reflection of a super bright light against a surface. The easily accessed lower settings can address that. Personally, I don’t point the light at things that reflect the light into my eyes. I use offset lighting but still want instantaneous 1000 plus lumens blinding capability in the eyes of an unidentified person instead of pressing through modes. That said, sometimes lower settings get the job done like when rummaging for something in your garage or looking under the hood. The E9R has several very nice features. First the E9R automatically remembers the last mode used letting the user configure their light with the most often used setting. Pressing the side mode button when the light is off automatically puts it in strobe as well as holding the side button when the light is on. 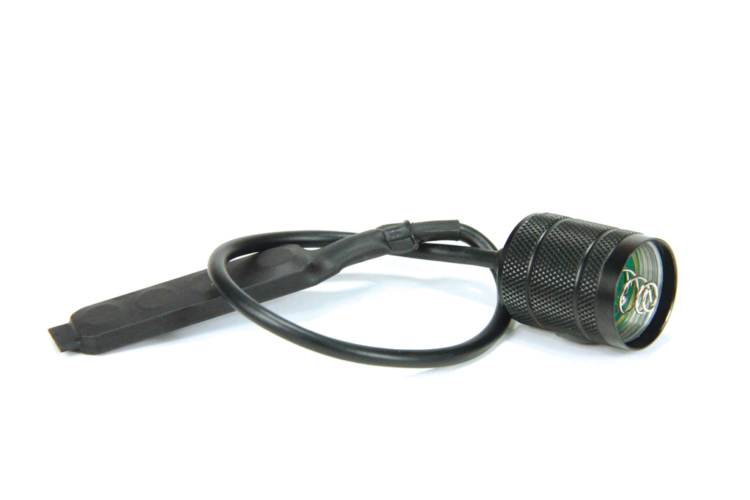 The light is rated IPX-8 and can be submerged in up to 2 meters of water. The E9R is also drop rated from up to 2 meters. The best and most important feature of the E9R besides its output and durability is its rechargeable. If one religiously carries and uses a premium light one knows to have a supply of CR123’s. The E9R will run fine on two CR123’s but the rechargeable 18650 battery will save you a boatload of batteries, carrying spare batteries and switching out dead batteries. Recharging is quick and easy using a supplied but very common USB type-C cable. One does NOT have to take the batteries out and set them in a charger. The charger is built into the tail cap. I love not having to keep track of another charger! After the initial charging, I never really had to leave the E9R on the charger more than two hours and 90% of my recharging was done in under 30 minutes. I did not torture test my E9R. Frankly, I like it too much. That said I did test it up to its advertised performance standards. While not a “dive light” I tested this functionality in my pool. It passed with flying colors with up to 30 minutes of use and at a maximum depth of a little over six feet. I also dropped the light several times from six feet onto concrete with no issue besides some minor nicking on the anodized surface. That’s to be expected. The aggressive crenelated bezel served well in protecting the dual coated glass lens. I used the E9R on a daily basis for five months as part of my EDC set up as well as shooting classes I give and take. It was also used in most of my weekly shooting sessions and nightly dog walks. I’m very happy with its performance. Unlike other similar lights I did not accidentally turn on the strobe when I wanted solid light especially with a gun in my other hand. I use the E9R mostly on high output and it clears away the dark easily. My dog loves to chase possums and raccoons on nightly walks around the house. There are plenty of places for them to hide in the hedges and trees. The E9R lets me identify them way off illuminating through the brush or lets them know I’m coming. Distance illuminated is also pretty impressive. The tight beam reaches out past 200 meters from firsthand experience looking down the canals surrounding my home. The beam is tight and has a white center. Extended use of the light on high gets the head pretty hot. You can lower the output and it will cool quickly. The E9R also boasts modularity among its features. Powertac offers an upgrade kit for post 2016 E9’s or Warrior Gen3 Powertac flashlight to make them USB rechargeable. This capability simply can’t be minimized. If you use a high-powered light a lot, rechargeable capability becomes a must. My next purchase to enhance self-defense and lighting is the “Stand Up/Striking Tail Cap”. It offers an additional crenulated bezel to replace the tail cap which also serves as a stand to turn the E9R into a lamp. The rear strike cap serves as a defensive surface as well as allows one to stand the flashlight on tail cap. Finally, Powertac offers mounting solutions and remote pressure switches to allow one to mount their E9R on their rifle. I’m not the only one that thinks so highly of the E9R. Secret Service, US Marshals, FBI agents and military organizations have procured the E9R for service both by individual purchase as well as an organizational item. Word of mouth is a powerful endorsement and its doing its work among our first responders. One officer related that he often gets complaints about how bright and blinding his light is and while I wouldn’t want the E9R in my eyes it obviously increases this officer’s safety when conducting a traffic stop. The National Tactical Officers Association, an association of national SWAT officers conducted a three-month assessment of the E9. The E9 is the base model of the E9R the only real difference being a different tail cap and not rechargeable. They evaluated 13 areas including durability, performance and quality receiving a 4.49 on a five-point scale. 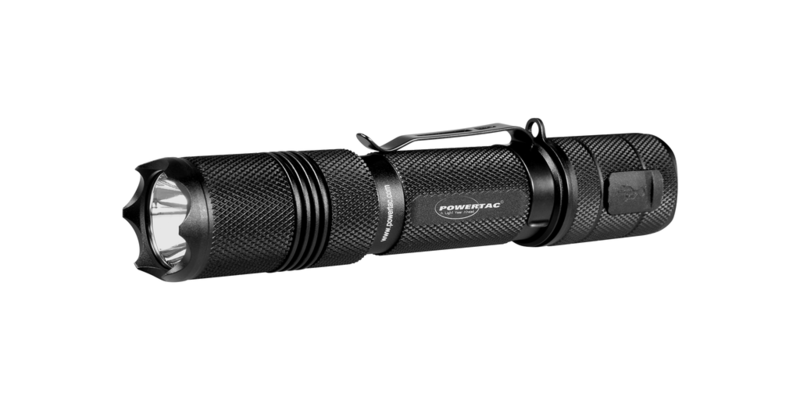 The E9R is an exceptional choice for those needing a tactical flashlight. Powertac’s E9R retails for $143.00 complete with light, accessories, battery and USB charging cable. It has a lifetime warranty that unlike others, covers LED burnouts and switch failures. 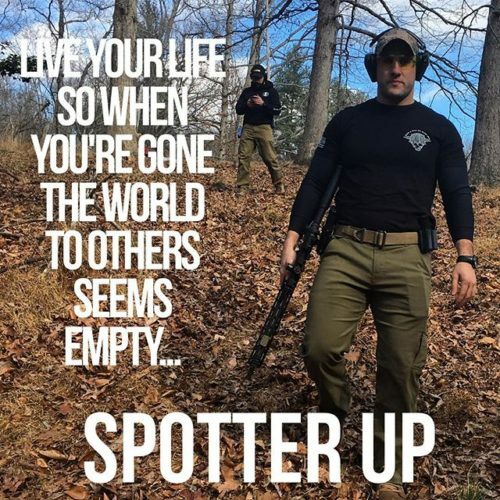 Buy it here and use SPOTTERUP as a coupon code and get 30% of ANY Powertac products. Powertac will be at Shot Show 2018 representing their line and some new developments. The biggest being a handheld 30 THOSAND lumen light that controls heat enough for it to be hand carried. Check out booth 6602 for Powertac products and to learn what the folks at Powertac put into their products. 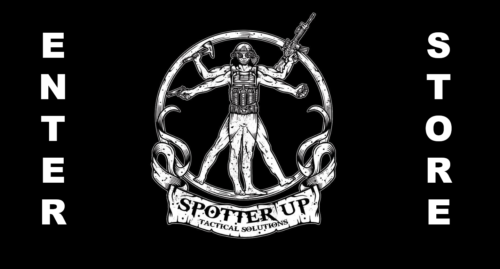 DISCOUNT CODE FOR OUR CUSTOMERS: SPOTTERUP Enter this code during checkout and you will receive a 30% discount. This code is good for the entire site; not including specific items and closeout items. Gucci Glocks Functional or Not?